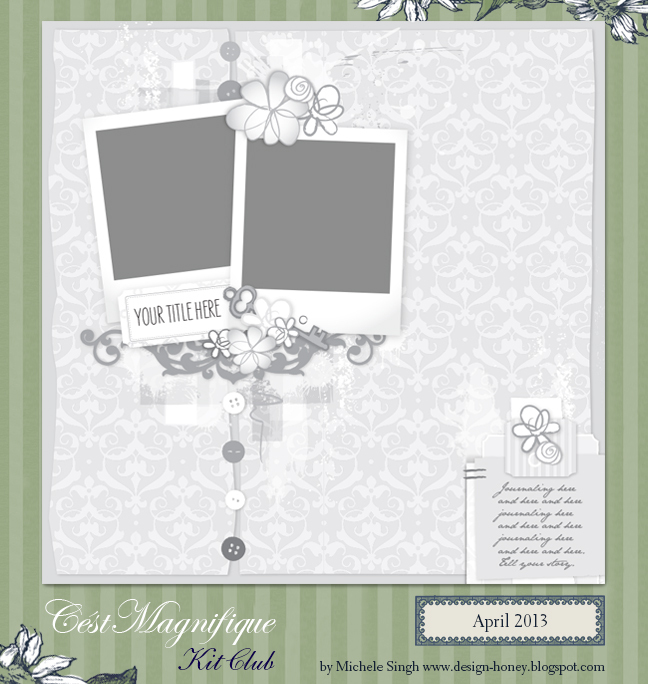 Erin Blegen: My Scrap Cabin: C'est Magnifique April Sketch Challenge! Good morning everybody, and welcome to the month of April! For us, that means the potential of spring weather and MUD! Really, the seasons around here are: Winter, Mud, Bugs, and back to Winter, haha! (But not joking, really! )~ I live 12 miles from town, and the first 7 miles is gravel road- which, at this time of the year when the ground is getting soft, is a horrific muddy mess. Thank goodness for 4-wheel drive! Wyatt is my oldest child, and I often struggle with some of his personality traits. He can be very particular, he is extremely intelligent so he's ALWAYS asking questions, and sometimes I catch myself trying to suppress those traits. I think it's because he is SO much like myself. So I just have to remember to encourage these qualities- for it's his curiosity and persistence which allow him to gain his incredible brainpower! The masculine blues and blacks available in this kit were just perfect for a page about him. I find that as he gets older, I am drifting away from the more feminine colors that were once okay when he was little . And you have the entire month of April to submit your layout. 1. You must be a follower of the C'est Magnifique blog. It's easy to become follower -see the left sidebar. 2. Create a layout using the sketch, and add it to our blog using the Inlinkz tool at the bottom of the sketch challenge post HERE. 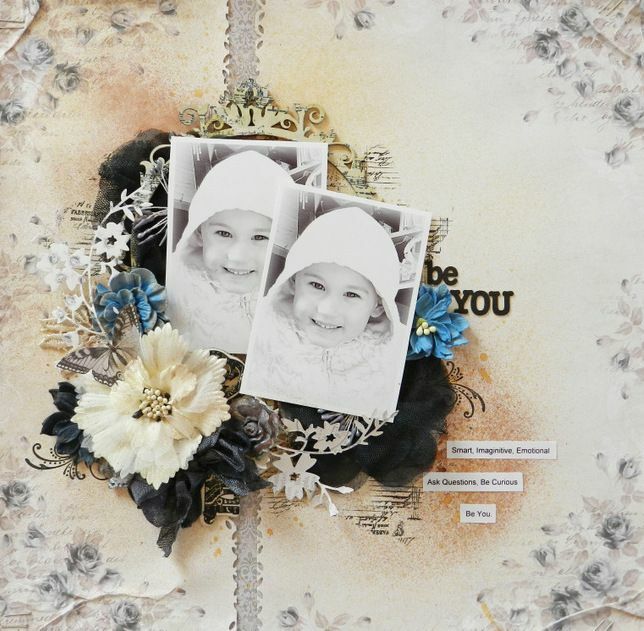 Please link to the blog post where you have uploaded your layout (not your general blog address). If you do not have a blog, you may link to an online gallery. Deadline for entering the sketch challenge is midnight, April 30 (US time). Интересная страничка ! Появляются новые цветовые решения - нежные , нежные !!! Truly beautiful- soft but not too sweet, just perfect! Such a wonderful lay-out! You always arrange flowers in such beautiful ways. I love how you used them both underneath and on top of the photos. Dejligt LO, du laver de skønneste opstillinger med blomster og pynt. knus morkaren. love the darker colors in this one, very nice and such cute pics of Wyatt ! This is just beautiful! 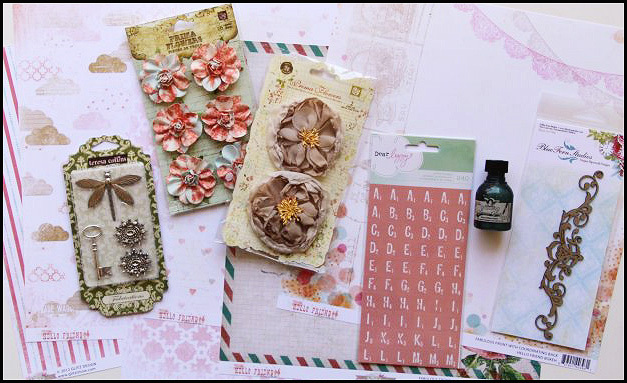 I love the paper and the cream/black/blue flowers. This is gorgeous! really love those adorable photos, love the colors and that is a wonderful sketch.. love this beautiful layout!! This is so lovely Erin. Like Zanka said soft but not too sweet. Beautiful design! So very, very beautiful...you do layers so awesomely.